Get up close to Antarctic wildlife on a Quark Expeditions cruise. The image cruises conjured for years has not been very appealing. There was the Titanic, which went down, literally, as the worst cruise ever. In more recent times, illness, particularly the Norovirus, overtook 475 people this January on a Royal Caribbean line, killing the trip. And then there are the negative age associations, with many folks believing you have to be approaching octogenarian status to board a cruise ship. However, that's not so, and these days, cruises' "cool" quotient is rising like the tide. There are a number of entertaining and even edifying cruises slated. Here are a few that prove there's way more to life at sea than the elderly clad in Hawaiian shirts running off to catch a ventriloquist after gorging at the buffet table. JOIN HIGH-PROFILE RECORDING ARTISTS ON THE HIGH SEAS. You would think it wouldn't be a big deal for a Beach Boy to take to the high seas, but Mike Love is more excited than usual about his iconic band's gig on the Flower Power Cruise. "It's a really cool gig," Love says. "It makes sense for us." The Beach Boys, Jefferson Starship and Tommy James and the Shondells are hitting the seas March 30-April 6 courtesy of Celebrity cruise line in search of some good vibrations (flowerpowercruise.com). There are a variety of music cruises that depart from ports throughout the country; it all depends on what floats your boat. There's a disco cruise (ultimatediscocruise.com), a Soul Train romp (soultraincruise.com) and even a Kiss Kruise (thekisskruise.com) featuring the cartoonish metal act. Fans enjoy music cruises since they are laid-back and there is typically ample time to meet the musicians. Even the occasionally moody Lucinda Williams, who was recently featured on the weeklong Country Outlaw Cruise (outlawcountrycruise.com) with the Drive-By Truckers, might lighten up under the sun. 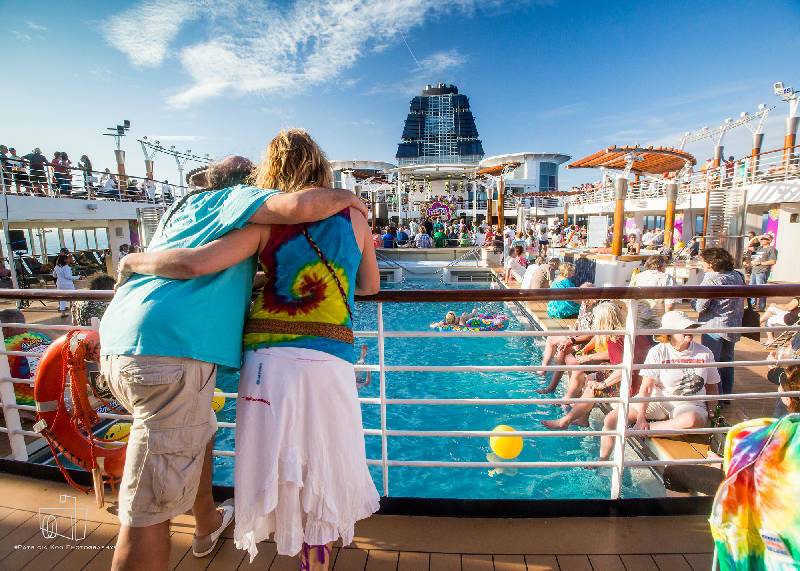 Starting April 11, tickets for the 2020 Flower Power Cruise go on sale. 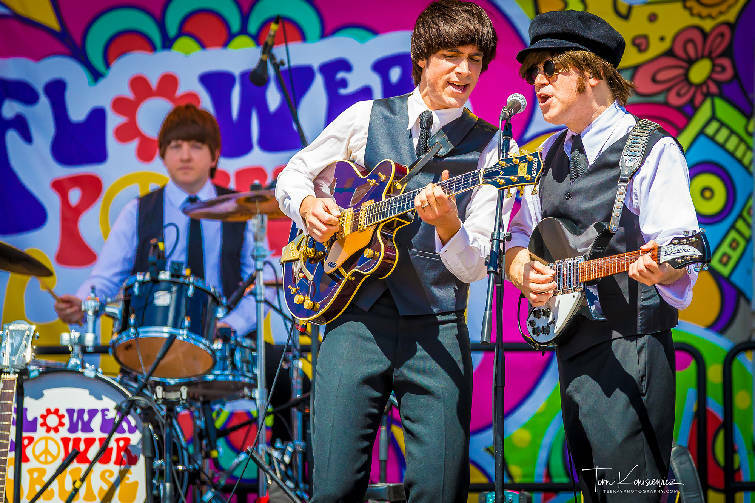 The seven-day jaunt features British pop icons The Hollies and psychedelic pop legends The Zombies, who were just inducted into the Rock & Roll Hall of Fame. Arlo Guthrie, an American folk master and storied songwriter, is also among the mix of more than 15 groups set to take the stage. 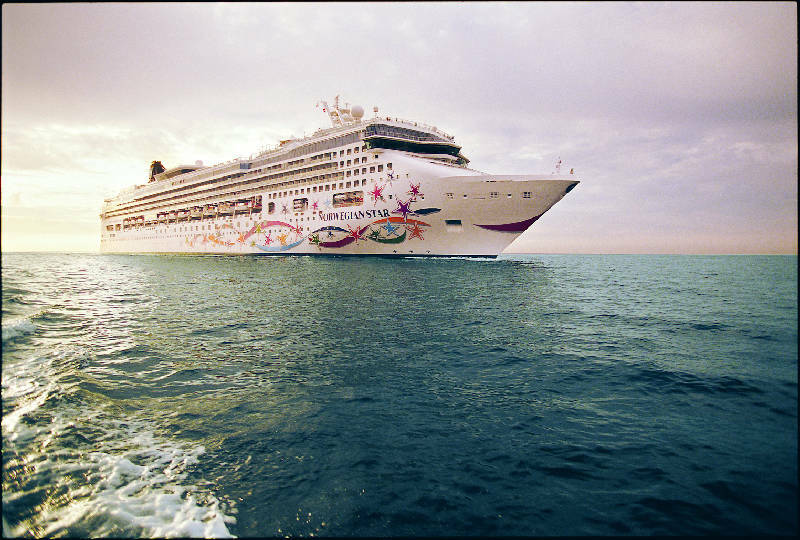 Music crusies like the Flower Power Cruise focus on fan experiences with their favorite artists. In 2020, The Beach Boys, Jefferson Starship and Tommy James and the Shondells will hitting the seas for the March 30-April 6 cruise. One of the more unique performances is sure to come from the Music of Cream, which features drummer Ginger Baker's son Kofi, bassist Jack Bruce's son Malcolm and frontman Eric Clapton's nephew Will Johns in a tribute concert combined with original footage and packaged with personal insights and stories, complete with rare, yet to be seen family footage and photographs. *Price is per person based on double-occupancy room. Good to know: Three payment options are available, allowing guests to even break down the cost into monthly payments. Not every cruise is the typical venture through the Caribbean. "If we're in Cancun it must be Thursday" is not the slogan utilized by Quark Expeditions (quarkexpeditions.com). The company only sails to the Arctic or Antarctica. Quark is interactive and may not be for those who just like to lounge around on deck. Snowshoeing, hiking and in some cases swimming are part of the excursion. Be prepared for a trip into some of the most remote parts of the world. 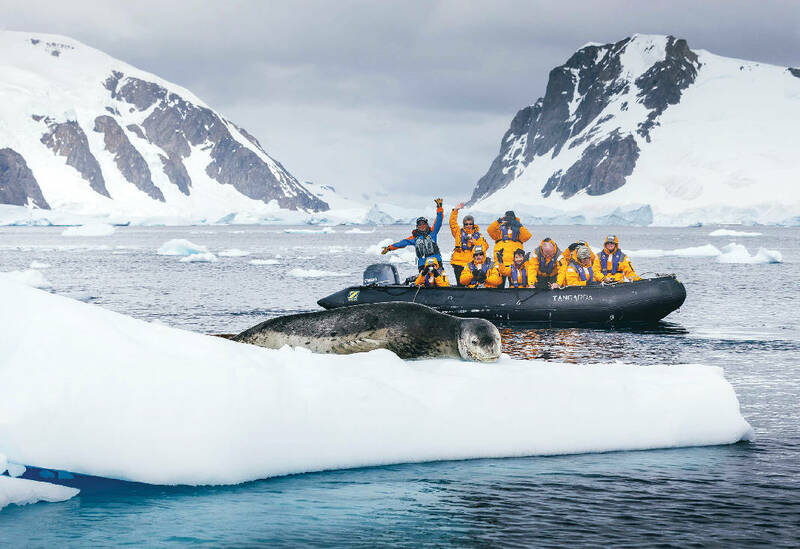 Lindblad Vacations-National Geographic (expeditions.com)offers similar adventures. Kayaks are often pulled out, and those interested can scuba dive some of the most serene waters on the planet. Lindblad visits arctic Canada, Iceland and the Galapagos. Each destination is filled with unique wildlife and culture. Disembark to explore Antarctica on foot during Quark Expeditions' "Discovering the 7th Continent" cruise. Quark offers nearly two dozen cruise options to arctic destinations including Greenland, Russia and the Faroe Islands. 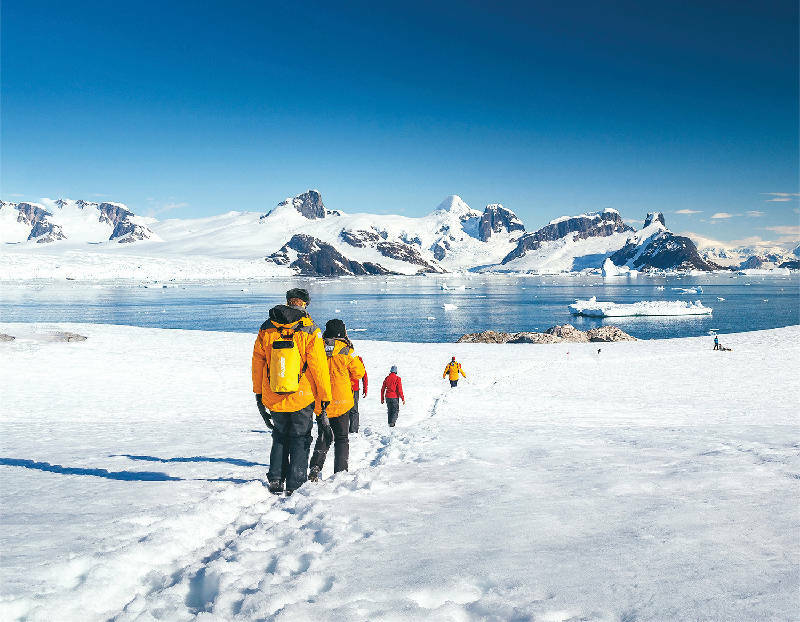 One of the signature tours is coming up this December, when the Ocean Endeavor will ship guests off to Antarctica for the unique experience of "Discovering the 7th Continent." The trip is one of the brand's more inclusive in terms of Adventure Options.
' Additional "Adventure Options" including sea kayaking, camping, cross-country skiing and mountain climbing. Good to know: If you book by April 30, you'll receive a 15 percent discount. 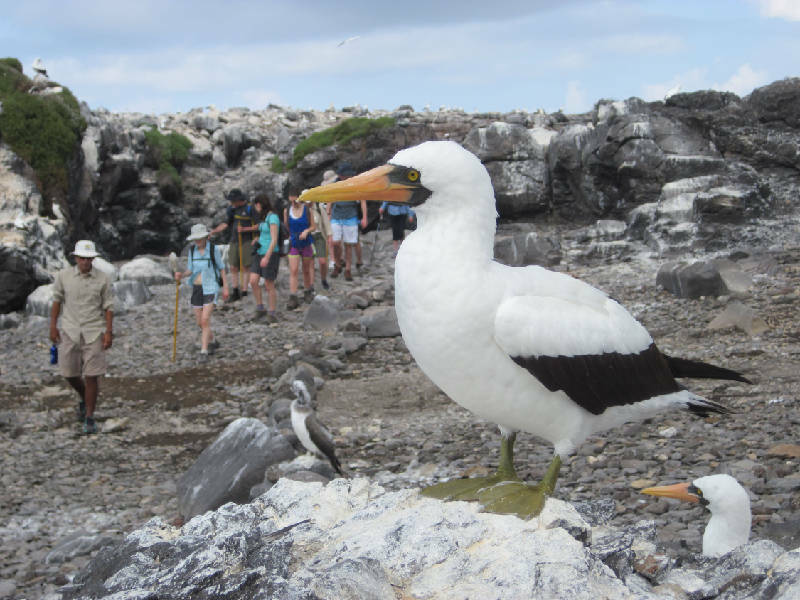 Explore the wildlife and marine life of the Galapagos Islands on an UnCruise expedition. UnCruise Adventures (uncruise.com) is an apt moniker for a company that organizes some unconventional tours. "Small ships, big adventures" is the UnCruise slogan. The vessels, which visit remote locales in Costa Rica, Mexico and the Pacific Northwest, among other destinations, are hardly massive. For those who would like to check out wildlife up close, part of the excursion is snorkeling, kayaking and hiking. 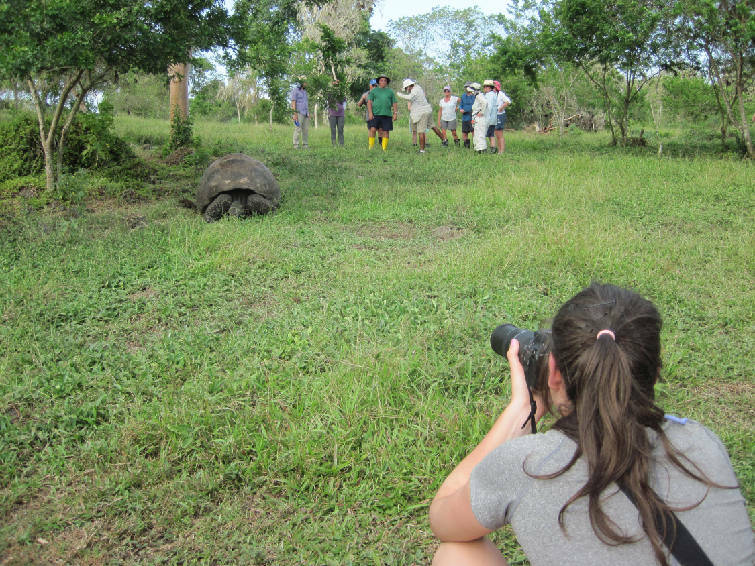 The Uncruise Galapagos Islands expedition include many wildlife encounters. You can follow in the footsteps of Charles Darwin with one of UnCruise's expeditions to the Galapagos. Hang out with blue-footed boobies and bright land iguanas, keep an eye out for penguins and sea lions, visit and learn about giant tortoises, explore lava tubes, and search for old signatures from pirates and whalers etched into the rock. Good to know: Following your Galapagos adventures, you can add on a 6-night guided land tour to another bucket list destination: Machu Picchu and the fabled surrounding area. 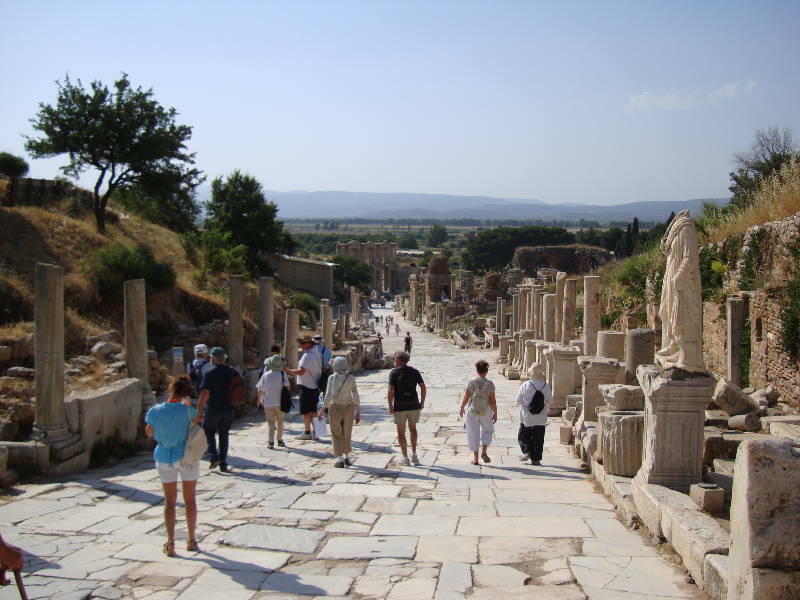 Explore Turkey and the ruins of the ancient city of Ephesus with Peter Sommers Travels. Peter Sommers Travels' offerings (petersommer.com) are for those who would like to feed their head, and we're not talking buffet tables or experimenting with drugs. These trips actually have a pre-vacation reading list. It's not a requirement, but if you want to receive the full experience, it would be wise to hit the books prior to reaching the docks; though professionals on board will provide unique details and perspective as you pass by sites. It's an interesting approach considering many trips are about tuning out, but it makes sense considering the journeys' visits to sites such as Knidos, Kaunos, Loryma and Lydae. 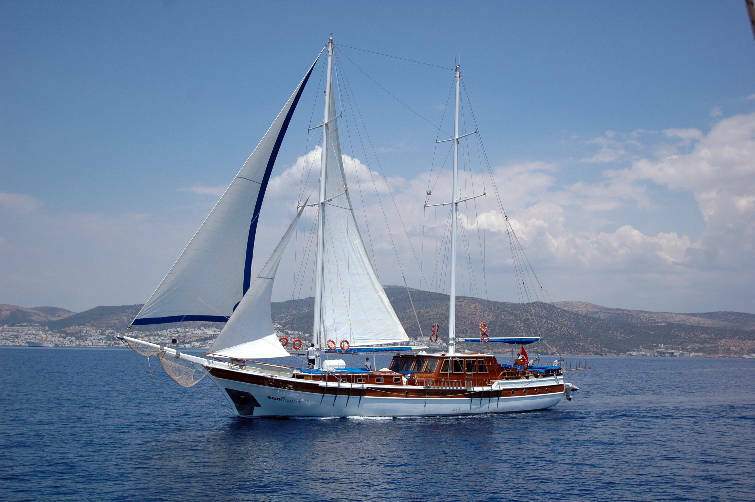 Choose from Greece, Turkey, Croatia, the UK and Ireland, or charter a private tour. Adventures with Peter Sommers Travel take place aboard a small gullet ship. The "Cruising to Ephesus" itinerary offers an ideal introduction to Turkey's unparalleled archaeological heritage, combining must-see highlights with intimate sites off the beaten path. Transcend time with visits to one of the wonders of the ancient world, the mountaintop sanctuary of Zeus at Labraunda, the skeleton of the Temple of Zeus at Euromos, the sprawling Temple of Apollo at Didyma and, of course, the vast ruins of the ancient city of Ephesus. There's also plenty of time for swimming, sunbathing or simply relaxing amidst the gorgeous scenery. *There is a "Single Supplement" of £645 ($842.65) for solo travelers. Good to know: The company offers custom tours farther afield for those who would like to prolong their expedition. FILL UP ON DECADENT DINING WITH THE CHEFS. Cruise ship buffets are often written off as uninspired. However, there is a cruise for foodies. There is a "Food Heroes" excursion (pocruises.com/foodheroes) with acclaimed chefs Marco Pierre White of "Hell's Kitchen" and "MasterChef Australia" and Eric Lanlard of UK television series "Glamour Puds" and "Baking Mad with Eric Lanlard," and wine expert Olly Smith, who appeared on "Iron Chef UK." The gourmands will hold court during cooking lessons and offer details during lavish dinners, which guests can wash down with a wine tasting with Smith. There are also Q&As and autograph sessions. It's always a great opportunity for celebrities to engage at sea since it's so relaxed. With P&O cruises, you can explore the culture of everywhere from the Mediterranean to Scandinavia to the Arabian Gulf via 674 tour options, 14 of which hold the "Food Heroes" designation. Get a true taste of gourmet life with the upcoming "Spain, Monaco and Italy" option featuring Marco Pierre White. *Price is per person based on double-occupancy room. The "Select Price" tier offers additional on-board spending money and either transfers or car parking. Board the Norwegian Star for its South American tour for singles, and enjoy a ship designed with mingling in mind. There's a reason Porthole Magazine has named Norwegian the best cruise line for solo travelers (ncl.com/freestyle-cruise/solo-cruising). 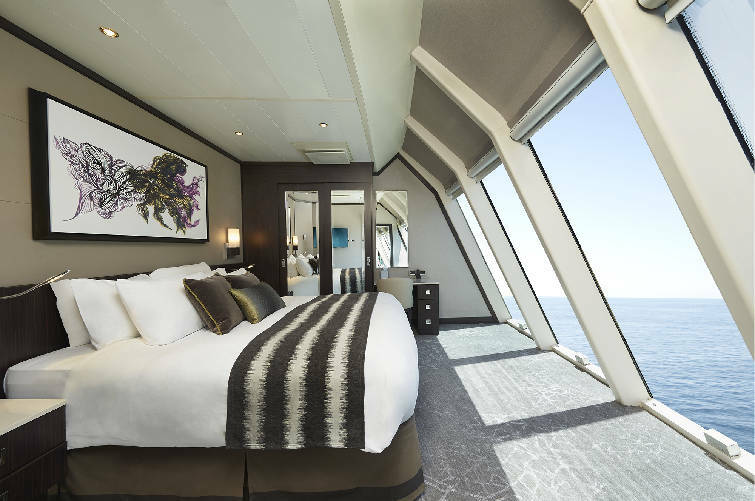 The fleet's studio staterooms are cozy and luxurious, and just outside the staterooms is a communal lounge designed to meet and mingle. There are more than 20 restaurants and more than 10 bars and clubs. There's an onboard water park with five water slides, and a sports complex. The Norwegian Star offers luxury rooms. Among the brand's most recommended trips for singles is a South American tour. Come on, you've heard of the tango. Flip winter on its head and search for a Valentine along the high seas while exploring charming towns and natural wonders like Tierra del Fuego and an active volcano, cruising glaciers, and watching for wildlife. Good to know: A "Free at Sea" trip, this itinerary offers the choice of up to five of the add-on features based on stateroom category.